Could the fishing start to pick up this weekend? 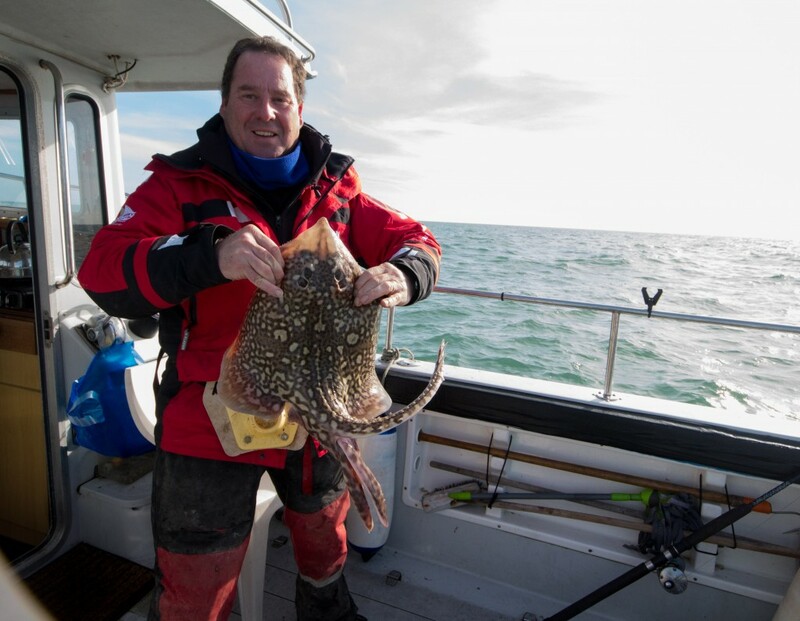 I know a lot of sea anglers are chomping at the bit right now, to get out and try and catch an early Plaice. To be honest although there will certainly be one or two caught this weekend, from Abbotsbury or West Bexington, I don’t think they will start to show properly until the next set of Spring tides, which will be two weeks away. However that doesn’t mean that I might not give it a try this weekend. I have a few new bits of kit I want to try out, that I got especially for the Plaice fishing. I managed to get out fishing for the first time in two weeks yesterday. I was invited out on an Osprey 26, owned by Jim Read, who has been responsible for some of the boat catch reports in the past. Our plan was to see if there was any decent sized Whiting still around, and have a go for some Rays. I am still desperate to catch an Undulate. We anchored just off the Adamant Bank for the morning, but to be honest, it was a bit slow. We did manage some nice Whiting, but the Rays, were not playing ball. I don’t think it helped that the bank was being continually swept by a trawler. A quick move a couple of miles to the East seemed to do the trick. Within minutes I had a good bite on my double squid and half a mackerel bait. A nice tussle ensued and I managed a lovely little Thornback, that put the smile back on my face. A few minutes later Jim had a nice bite, but it felt a bit odd. It certainly wasn’t a Dogfish, as it was way too lively. With me peering into the water trying to see what it was, and each of us coming up with a number of possibilities, we were a bit surprised to see a lovely Tub Gurnard break the surface. After a few pictures we released it back. Could this be the start of the summer fish coming back? From that point on bites were thick and fast. I managed a couple of more Thornbacks and lost something almost on the surface, before a feisty strap Conger took the bait. It is amazing how a short move can make such a difference to the fishing. That was not to be the end. 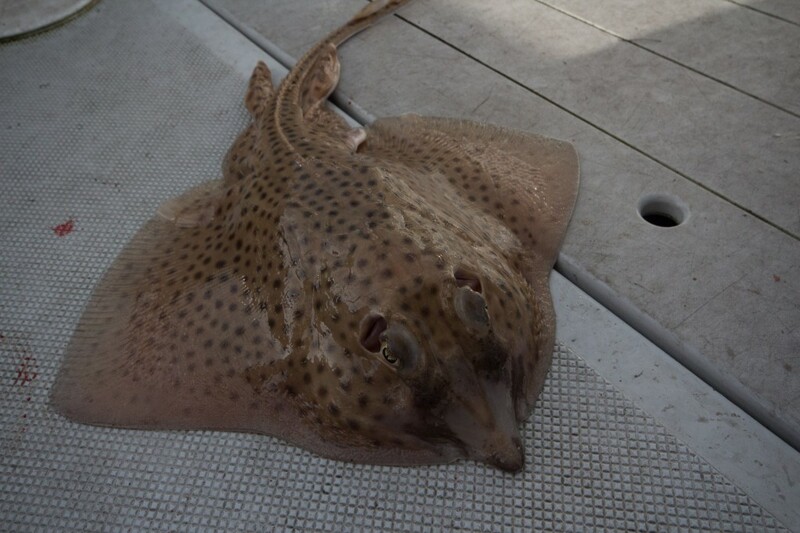 I managed to end up with a Spotted Ray on my last drop down. Chesil Beach: Small swell and almost clear water. Chesil Beach forecast: With big tides this weekend, I am sure that amongst the 300 or so anglers that are sure to descend on Chesil, at least one or two will pick up Plaice. unfortunately for the rest it will be a blank during a daylight session. Once darkness falls, there will be plenty of small Whiting and Pout to keep the rod tips rattling. 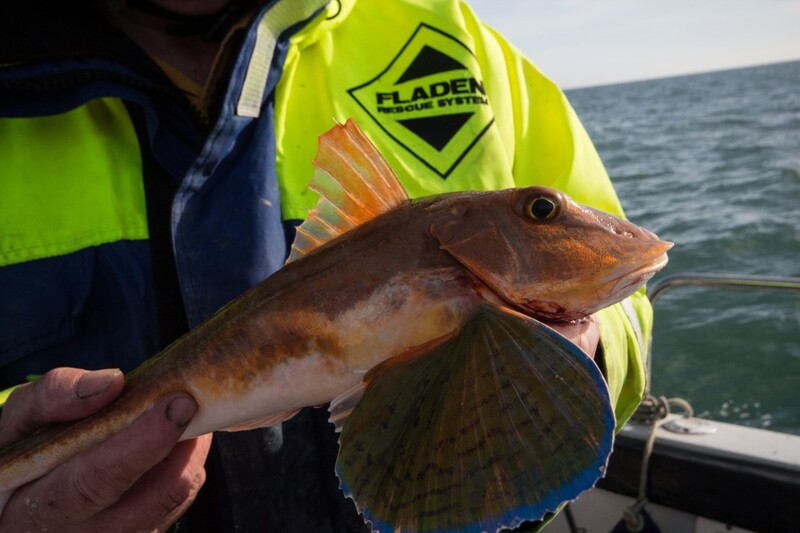 Portland: Some great conditions for Pollock and Wrasse fishing this weekend. Not sure if the Wrasse are going to be active enough to take lures, but I would love to think that they would. Tide times are good for fishing at dusk, with enough water to tempt them close to the shore. Portland Harbour: Very quite in the harbour still. Weymouth Bay: Reports suggest that Preston is producing some reasonable sized Whiting still, as well as a few Dabs and FLounder. It will provide good shelter on Monday and Tuesday. As the wind switches to the East, the surf will pick up on this beach making it a lot more difficult to fish. The piers as always will produce plenty of small Pollock, Pout and Wrasse. There is always the chance of some Herring. Guiding: At this time of year, the guiding is pretty quite, so I normally use this time to do some basic fishing workshops. In these I teach all sorts of skills, that will give you a good grounding for your fishing adventures for the erst of the year. I am happy to do lure or bait sessions and the workshops are 2 hours lonng and limitied to 3 people. If you are thinking about booking a guided lure or bait session for the later on in the year, then now is the best time to do it, to grab the best tides. 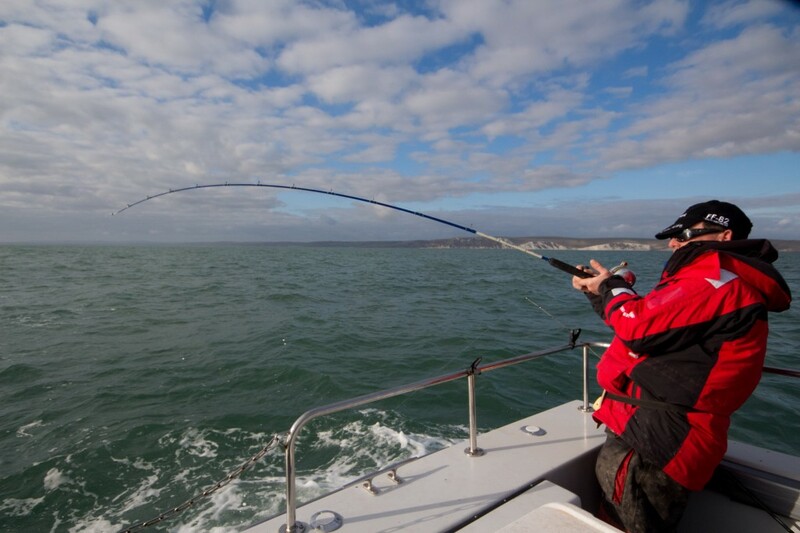 Fishing Tails > All Articles > Reports > Chesil Beach > Could the fishing start to pick up this weekend? 2 Responses to "Could the fishing start to pick up this weekend?" Looking forward to chasing some plaice from chesil this year,will be a first for me hopefully. Always a pleasure to read your posts Shaun, looks like a good day out.